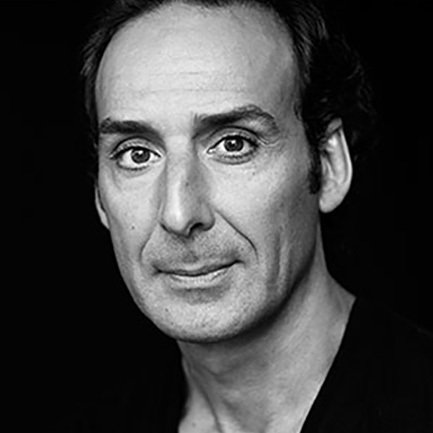 Oscar-winning composer Alexandre Desplat is one of the most coveted film composers in the world today. Desplat is noted for his collaborations with some of the world’s top filmmakers: Wes Anderson, George Clooney, Stephen Daldry, David Fincher, Stephen Frears, Tom Hooper, Ang Lee, Terrence Malick, Roman Polanski and Angelina Jolie garnering eight Academy Award nominations. Desplat first captivated American ears with The Girl with the Pearl Earring and Birth. The Golden Globe and Oscar winner has since scored a range of incredible films, nine of which have been Oscar-nominated: The Queen, The Curious Case of Benjamin Button, Fantastic Mr. Fox, The King’s Speech, Argo, Philomena, The Imitation Game, The Grand Budapest Hotel (2015 Oscar for Best Score), and The Shape of Water (2018 Oscar for Best Score). Desplat’s most recent work includes Guillermo del Toro's The Shape of Water, Angelina Jolie’s Unbroken, Wes Anderson’s The Grand Budapest Hotel, The Imitation Game, Suffragette directed by Sarah Gavron and starring Helena Bonham Carter and Meryl Streep, and his second collaboration with Tom Hooper (The King’s Speech) The Danish Girl starring Eddie Redmayne. Coming up next for Desplat is the period drama The Light Between Oceans directed by Derek Cianfrance starring Michael Fassbender, Florence Foster Jenkins starring Rebecca Ferguson and Meryl Streep, Illumination Entertainment’s The Secret Life of Pets starring Lake Bell and Kevin Hart, and Disney’s Rogue One: A Star Wars Story starring Felicity Jones and Mads Mikkelsen.